What are the Variable Spring Types? | Piping Technology & Products, Inc.
What are the Variable Spring Types? 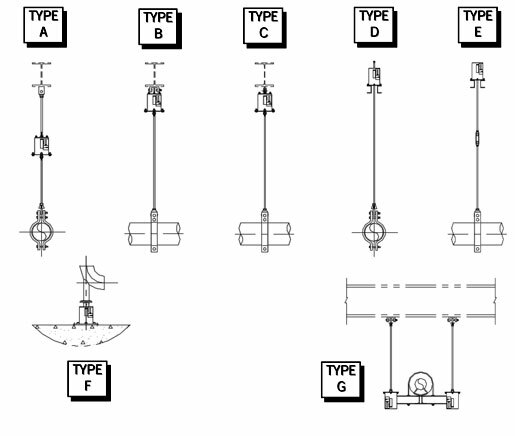 We offer seven different configurations for Variable Spring Supports (Type A, B, C, D, E, F, G). Click here for an in-depth explanation of each configuration.